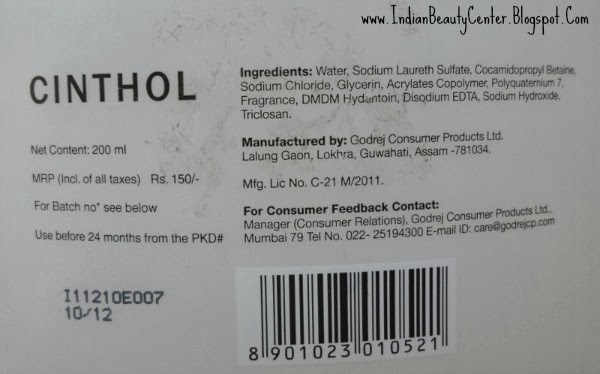 Product Information (From website)- If you are one of the many people who feel drained out or completely spent at the end of the day, then this special shower gel from Cinthol is made especially for you. 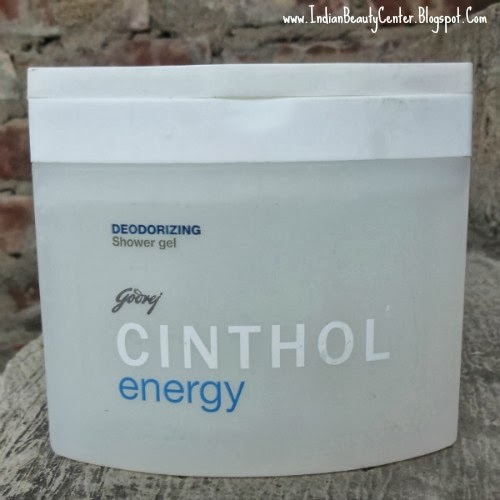 Ideal for anyone who looks to uplift their senses and relax their muscles, the Cinthol Energy Shower Gel gives you a complete bathing experience. This Cinthol Shower Gel combines the cleansing properties of a body wash with the deodorizing properties of a body spray. The unique green-woody fragrance of this Energy Shower Gel keeps body odor at bay and ensures that you feel your best throughout the day. Whether your schedule is packed with luncheons and meetings or it is booked with meeting your friends or catching up on the latest movies, this Cinthol Shower Gel will keep you feeling energetic and cheerful. So do not bother with that deodorant after your shower as this Energy Shower Gel will take care of it and see you through the day with impeccable style. Pour the required amount of the Cinthol Body Wash on a wet loofah or sponge and work to form lather. Gently apply all over the body. Rinse off completely. This shower gel comes in an almost square-shaped bottle with a not so sturdy cap. 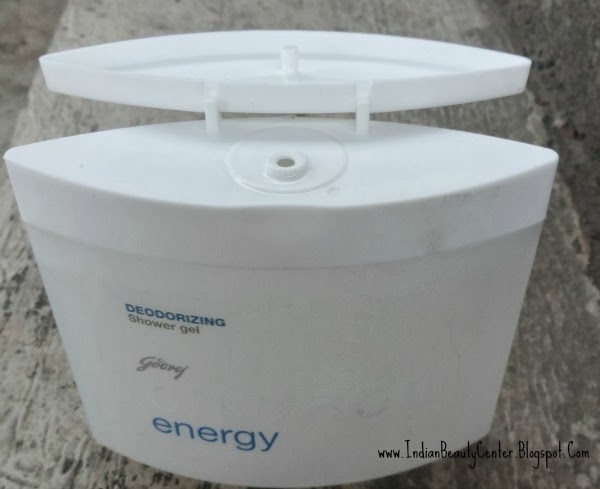 The product is a bit bulky and the cap is loose which make this product not so travel-friendly. The bath gel is colorless, just like water. The shower gel is runny in consistency and does not lather much. It has a herbal fruity-floral fragrance, which I completely like. It contains SLS, which is a turn-off for me. 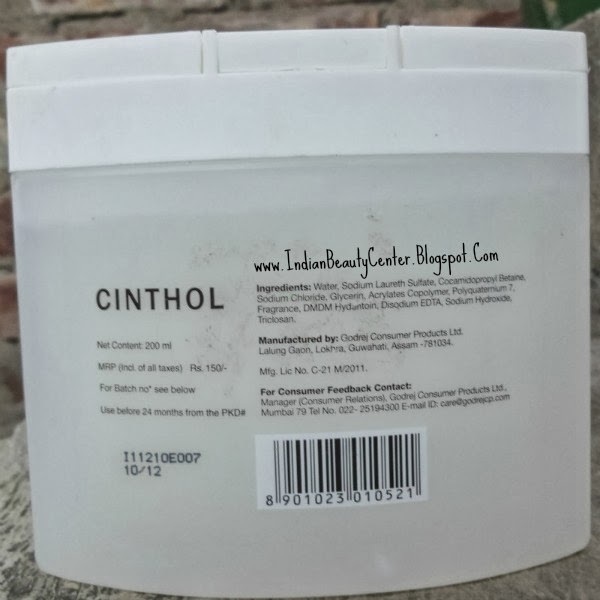 This Cinthol shower gel lathers nicely when used with a loofah. Otherwise, the lather is not so great! It cleans the body nicely and removes dirt from the body. You will enjoy even more in the shower because of it fragrance (yes, it is just superb :D ). It does leave a slippery feeling behind and thus, you need to work a bit harder to rinse it off completely. As soon as you step out of the shower, the smell fades away. It slightly dries out the skin too. This is an average shower gel and you might just want to try it out if you have oily body skin. Dry skinned beauties need to stay away from this. However, this did not cause any rashes or anything on my sensitive skin. Therefore, I guess, this will suit those with sensitive skin too! I wish the fragrance lingered on and the gel lathered a bit more. this looks nice...never knew cinthol have body washes also! I might try it just for the scent in summers :) Need a more moisturizing body wash for winters! I love trying different shower gels! Shower gel and deo sounds so good! Nice review Arpita :) I'm in dry skin phase now!